The quintessential "Mr. Entertainment" as Jack Benny was known. The timeless humor of Jack Benny still resonates with his fans and ISA as a client who entertained through vaudeville, radio, movies, television, and stage performances. 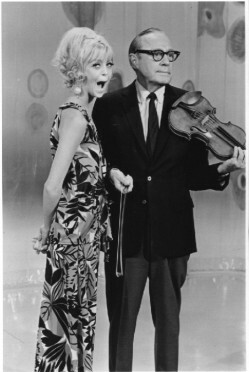 Mr. Benny's gentle humor and renowned violin playing delighted generations of people. We fondly recall the years of staffing the Jack Benny household, which relied on our services to run in top form.